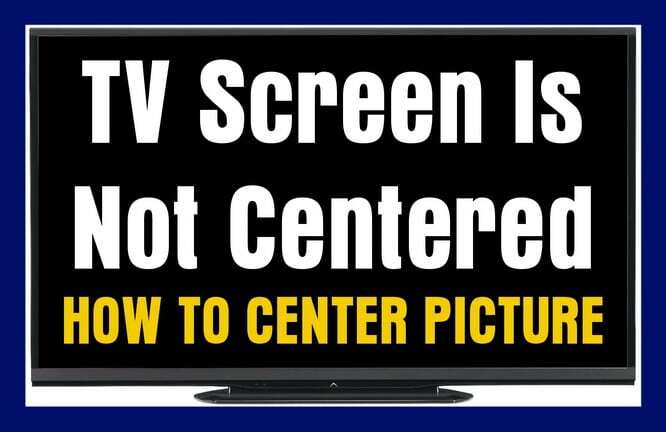 TV Screen Is Not Centered – How To Center TV Screen? My TV screen is off center. It seems like the picture on the TV is too big for the actual TV screen. I could also say the TV screen seems too small for the image on the screen. Is there a way to adjust either my TV or the Cable box so the screen is centered? I have a Samsung TV and I have it hooked to a new cable box. I hooked everything up myself without the cable company so I could save money. Can you tell me what to adjust? This may happen when you first connect your TV to a new component such as a new cable box, DVR, SAT BOX, laptop, PC, computer, or a new TV that has the picture aspect ratio settings incorrect. You may have to change the settings on your component or TV remote control by pressing the following on the appropriate remote… Size, Zoom, Aspect Ratio, Wide… to get the picture to fit the screen and recenter. What Is Making The TV Picture Not Centered? 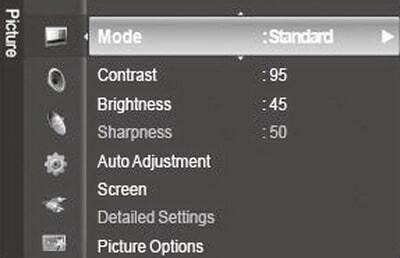 1 – TV “picture settings” “p size”, “wide”, or “display aspect ratio” are incorrect. 2 – Cable Box “picture settings”, “format”, “aspect ratio”, or “output selection” incorrect. 3 – SAT Box “picture settings”, “format”, “aspect ratio”, or “output selection” incorrect. 4 – BLU RAY/DVD Player “picture settings”, “format”, “aspect ratio”, or “output selection” incorrect. 5 – PC/Laptop/Computer connected to TV through VGA – need to perform “automatic centering”. 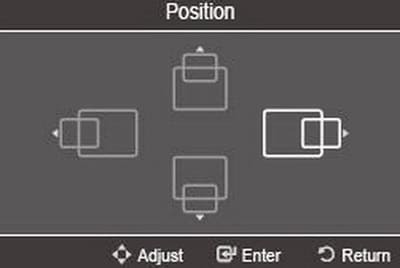 6 – Android Box “picture settings”, “aspect ratio”, or “output selection” incorrect. Press the TV remote control – WIDE – picture size – zoom – aspect button to fix picture not centered. Be sure the aspect ratio is correct by pressing the “aspect”, “format”, “wide”, or “zoom” button on your TV remote control. Pressing the button each time will scroll through the picture aspect size settings. 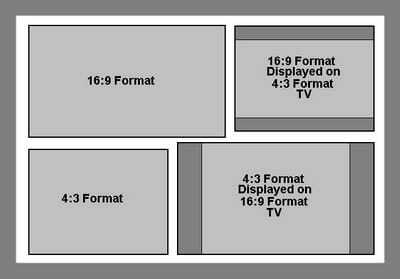 If the TV picture appears normally, then you had the TV “zoom” “format” “wide” or “aspect ratio” set wrong by accident. If that did not work, try going into the “menu” on your TV remote control and find “picture settings” for the TV and reset the picture settings to default. If you have connected your TV to a Computer/PC with a VGA cable and your screen is off center, try using Automatic Centering or do a Manual Centering to correct the screen position in your TV menu settings. If you are using an HDMI cable to hook your computer to your TV and your screen is off center, you most likely need to update the video card drivers on your PC to fix the issue. 1 – Press “Menu” and find the “Picture” settings. 3 – Once the screen has “Auto Centered”, press “Exit” to get out of the menu. If your screen is not centered after trying “Auto Centering” then try Manual Centering. 2 – Go to “Screen” and then press “Enter”. 3 – Move arrows on the TV remote to center the screen. 4 – Once the screen is manually centered press “Enter”. 5 – When the TV screen is perfectly centered press “Exit”. TV aspect ratio is the proportion between the width and the height of a picture. Do you have a problem with your TV screen not being centered or fitting in the TV screen and need help? Please leave your question below and we will assist you ASAP. Display was off centre on my Sony Bravia TV when connected to my laptop [Acer 5715Z]. Went to Menu/ Settings/ set-up [not ‘picture’] /PC settings/ horizontal shift/ from +11 to 0 and fixed it. Auto adjust was also there in PC settings, but didn’t chance it. I have this on an old 21″ crt Panasonic TV. I want to use it playing video games and like to have it full screen. Now it is not full screen and at the left the image disappears a little. Try using the remote control and go into MENU. There should be a menu to CENTER the screen. If not it is a faulty board inside the TV or possibly a cap that popped. Use caution when opening up a TV to check for damage as it may still be holding high voltage. I have a Upstar TV model number p40ea8. The picture is off center to the bottom. Looks like the picture needs to be center back to the top of the screen. Try FACTORY RESETTING your Upstar TV. If that does not work, go into the menu and see if there is a settings for CENTERING. Also, check on your remote control that you have not pressed the ZOOM or ASPECT RATIO button on the remote.